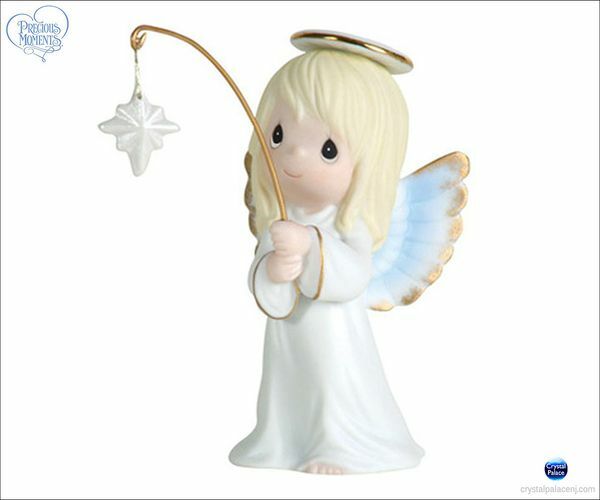 The newest addition to the Precious Moments mini-Nativity, a pretty little angel perfectly places the star for all to follow. Golden accents on her wings, gown, and halo add to her simple beauty. Bisque porcelain figurine. Item#: 104018 - Height: 3.5"